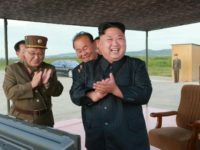 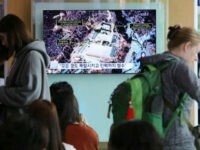 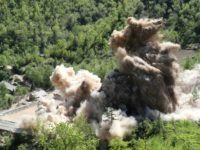 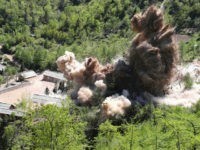 Reports began surfacing late Thursday and Friday from North Korea’s Punggye-ri Nuclear Test Site, where the government invited reporters to witness the destruction of buildings outside the facility’s three tunnels and what Pyongyang claimed was the total destruction of the tunnels used for weapons testing themselves. 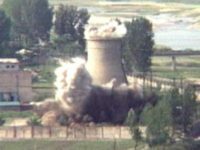 Even as journalists trudge toward North Korea’s much-touted decommissioning of the nuclear weapons test site at Punggye-ri, nuclear weapons experts are worried the regime is using the media event to bank unearned international credibility while it destroys evidence of its illicit weapons research. 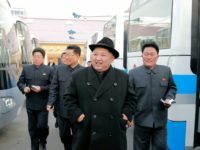 The latest signal that North Korea’s “diplomatic thaw” could be freezing over again came on Friday, when the Communist state “declined to accept” a list of South Korean journalists who wanted to observe the much-ballyhooed shutdown of the Punggye-ri nuclear test site next week. 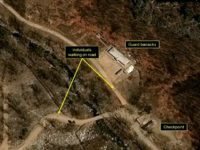 An analysis of commercial satellite imagery by 38 North suggests that North Korea has begun the process of dismantling its nuclear test facility at Punggye-ri. 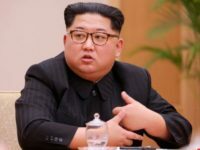 North Korea has scheduled a formal decommissioning event and media opportunity for next week.